Best Lake Attractions Special Features! It's fun to treat your family when you are on vacation. As you plan your family getaway to the Lake of the Ozarks, it's the perfect time to scope out special activities. As the Best Lake Attractions, we have some special features for YOU! We want to help you make the most of your Lake of the Ozarks vacation. Take a look below to get the inside scoop on the special features at each of our Lake of the Ozarks attractions! 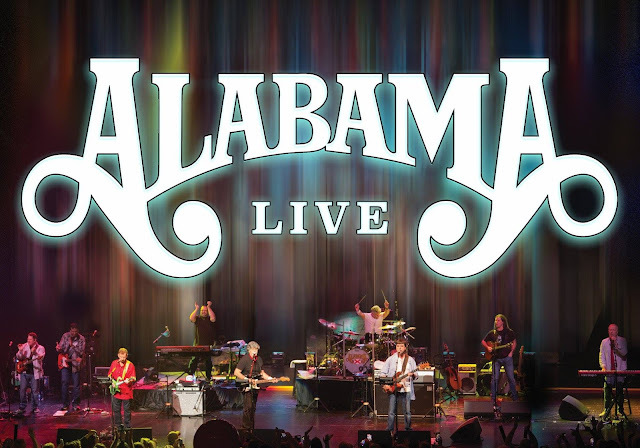 Do you have your tickets to see Alabama with special guests Montgomery Gentry yet? It's not too late! They will be rockin' the house at Ozarks Amphitheater this Memorial Day Weekend. Snag your tickets to catch this awesome show on May 26th. It's the PERFECT way to kick off the summer at the Lake of the Ozarks! We know you are just itching for Saturday to get here. To help tide you over, take a look below to learn some interesting facts about this Southern Rock/American Country group! Fun Facts About Alabama! Fun Fact #1: When they first performed, the band played under the name "Wildcountry". They performed a Merle Haggard song at their high school talent show, where they won first prize! Fun Fact #2: The former drummer of the band, Mark Herdon, was the only band member who was NOT born in the state of Alabama. The Lake of the Ozarks is where the family-friendly action is this summer! 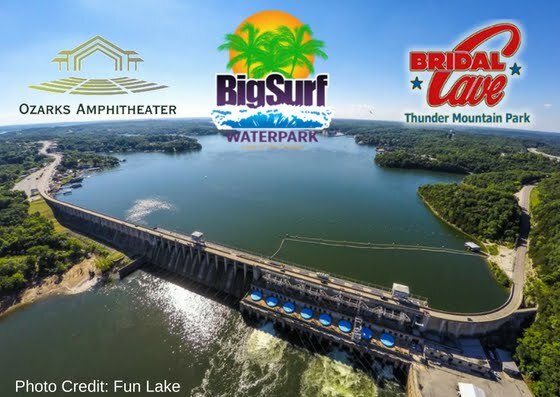 If you are looking for family-friendly fun at the Lake of the Ozarks, look no further than Big Surf Waterpark, Bridal Cave, and Ozarks Amphitheater! These great attractions are tops among the favorite “things to do” for tourists, visitors, and locals. 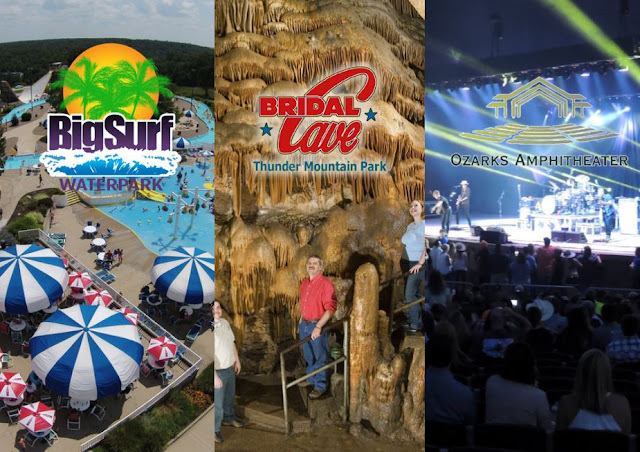 Whether you want a great concert experience, a day of waterslides and the wave pool at the area’s best waterpark, or to experience the natural wonder and history of the lake’s most popular cave, you can’t go wrong spending your “off the lake” time at these great venues. Memorial Day Weekend EXTRAVAGANZA with Best Lake Attractions! Memorial Day Weekend is right around the corner. 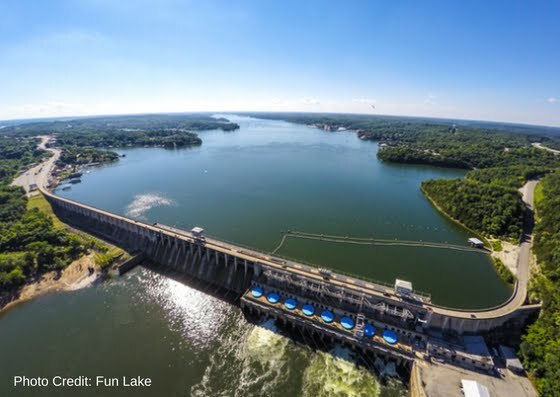 If you haven't made plans to visit the Lake of the Ozarks with your family, it's not too late. The Lake is the BEST place to spend time and make new memories with your loved ones. With a TON of family-friendly attractions at the Lake of the Ozarks, you and your kids can stay entertained ALL WEEKEND LONG! Memorial Day Weekend kicks off the summer at the Lake and you won't want to miss it! Join Big Surf for Opening Day Opening day for Big Surf Waterpark is May 26th. A day of fun in the sun is the perfect way to kick off the season at the Lake. Soak up the sun, relax by the water, and get your thrills with our rides - there's something at the waterpark for everyone to enjoy. If you plan on visiting Big Surf often this summer, be sure to purchase your season pass at www.BigSurfWaterpark.com - it's the most bang for your buck. One of our Best Lake Attractions offers a unique way to keep your family entertained inside and outside! What is that you ask? Bridal Cave is a great place for your entire group to explore! Tour the inside of the cave and get a break from the heat (or rain) and explore our outdoor park to soak up some sunshine. It's the perfect combination of activities no matter what the weather! Take a look below to learn a little more about the exciting adventures you and your family can enjoy at the best cave at the Lake of the Ozarks.